Many people discover that their credit card debt is out of control when they get their monthly bank statement. Mortgage payment, everyday spending, services and occasionally getaways or dining out can bring your balance over-the-limit fees. It’s time to consider debt consolidation to save your money – credit card balance transfer, home equity loan or mortgage refinancing. One of the best ways to obtain debt relief is by consolidating your debts with a mortgage refinancing if the timing is right. A refinanced mortgage is a form of debt help for the borrower, who will be able to pay down the old mortgage with the money of a new loan. 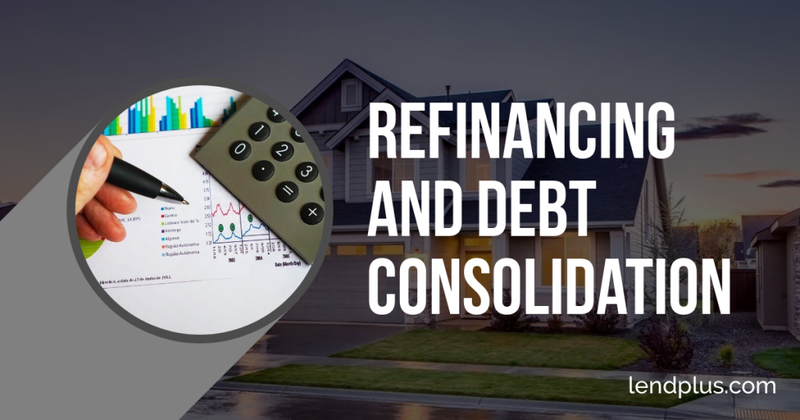 The benefit of mortgage refinance is based in not only debt consolidation of other debt, but in getting a lower interest rate, lower pay off, and taking cash out of the home equity. Although every borrower may have their particular reason for applying for a new loan, all of them share the desire for debt relief by reducing their mortgages’ interestsí rates and liquidating cash from their home equity when possible. Mortgage refinancing usually costs a couple of thousand dollars in closing cost besides the time you spend on research, application etc. Debt advice on a home mortgage can easily be obtained through the mortgage lender, mortgage broker, financial institutions and Government Consumer Protection Offices. Because secure loans and mortgages are backed up by collateral property or a guarantee for any other sort of asset, lowering the rates means more savings and debt relief. Mortgage refinancing could quickly reduce your debt if done properly. Mortgage refinancing lets you cash out your equity to be applied for debt relief purposes, and allow you to qualify for lower rates than a home equity loan. A single mortgage is often considered less risky than having two loans. Taking a shorter term in your mortgage refinancing may further lower the interest rate. For instance, if your original mortgage is a 30-year loan, you may consider a 15-year mortgage while refinancing the loan. The monthly payment of a 15-year loan is about 20-30% higher than the one of a 30-year mortgage, not as high as our intuition tells us. Genuine debt help comes when you weigh the pros and cons of debt consolidation. Obtaining a mortgage refinance may be the best option for debt relief, remembering that you will have to follow a similar process like the first time application so make sure to keep a good credit history before you apply. Be sure to get mortgage quotes from at least three mortgage lenders before you commit. Weight the pros and cons of your current mortgage, and compare the actual interest rates you are paying off in comparison to those resulting from your new debt management perspective, considering collateral involved in the debt and possible future risks as well. Your financial adviser can offer valuable advice for your debt relief.